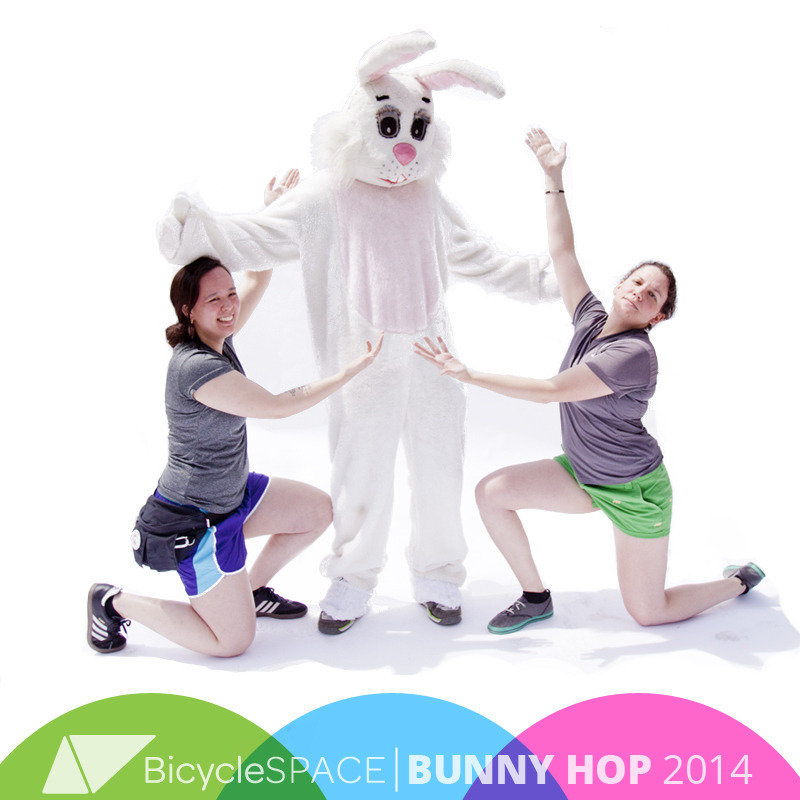 Spring has finally sprung into DC, and what better way to celebrate it than with a bunny-themed velo hunt! The weather was definitely more agreeable than our last velo hunt, so people had no problem getting out and silly with rabbit puns and hopping all over DC. After that, we gave the riders clues and sent them on their merry ways, or rather, upon receiving the clues, they stood around and tried to make sense of them. What was on the line? $50 to Baked and Wired, DC’s best bakery, so they didn't stand around for too long! Riders had to ride out and take a photo of each answer to each clue, whether an item, action, or place, and post it with #bunnyhopdc. 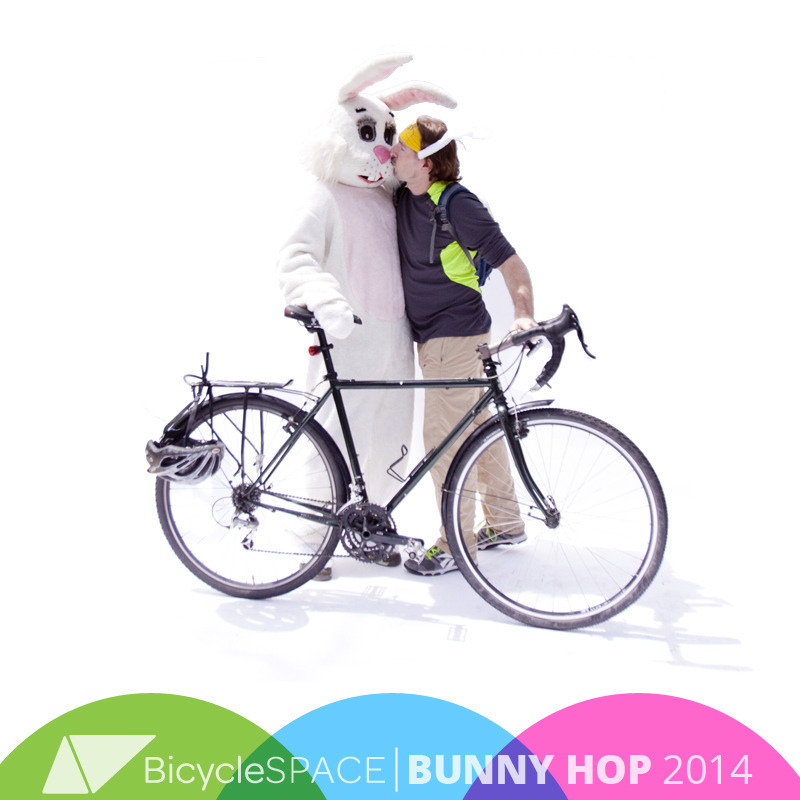 As the riddle master, I had the pleasure this time of watching the #bunnyhopdc photos pour in and send me into water-shooting-out-the-nose fits of laughter back at BicycleSPACE HQ. At this point, I’ll just share some of the clues, and let the creative photo-answers take you on this wild ride. Clues #14 and #16: Find this very pensive rabbit in the sculpture garden and Do the futterwacken like the mad hatter in front of his favorite hat shop! Once everyone returned from their tasks, I had a great time checking out everyone’s photos and videos. If you want to see even more for yourself, check out the #bunnyhopdc tagboard! Clue #17: Eagles are rabbits’ natural predators: find an eagle and duck and cover! This photo below on the left won a Basil front basket for making me laugh the hardest, as well as for the scale and willingness of the riders to trust a stranger with their phone! Of twenty-one total clues, the winners, Emily and Taylor, managed to take photos of 16 clues in less than two hours—they were busy little rabbits! Thank you to all who came and bunny hopped, hid from eagles, and generally goofed around! I hope you had as much fun as I had checking out the #bunnyhopdc photos!